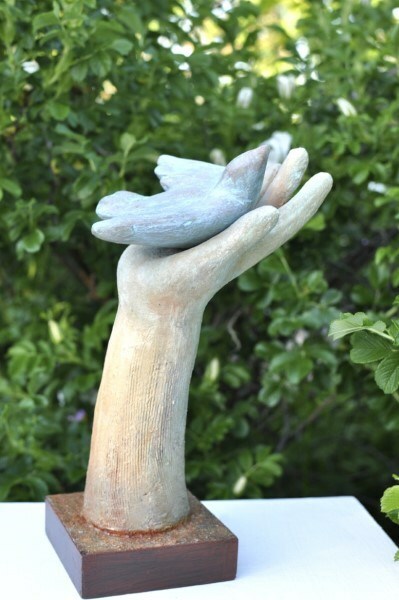 Last year marked two important anniversaries related to birds. 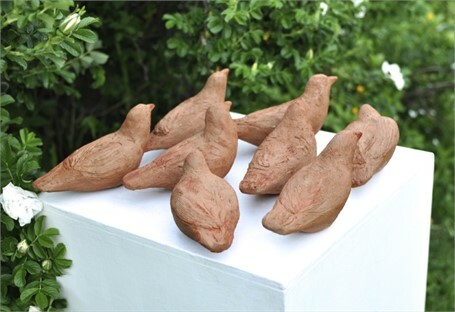 A hundred years have passed since the passenger pigeon, that once was so numerous flocks of them blackened American skies for days, became extinct. 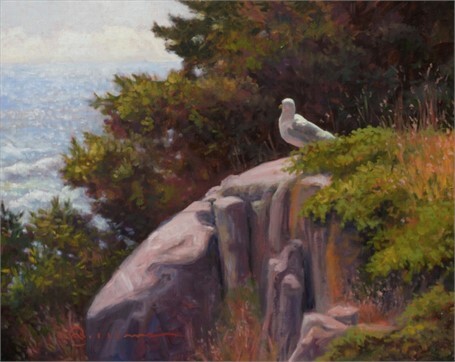 Fifty years have passed since Lyndon B. Johnson signed the Wilderness Act of 1964 into law. 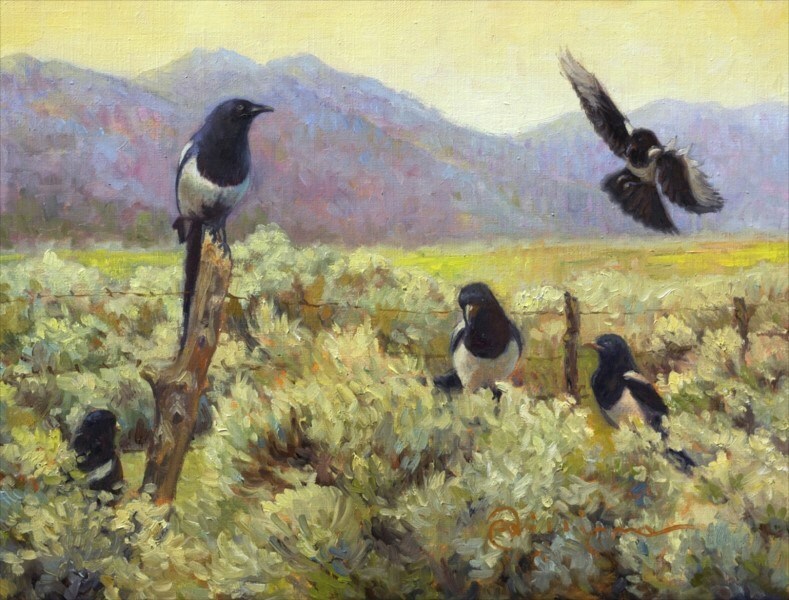 In addition to protecting over 110 million acres of land, over the years, the law has made sure birds had places to nest and breed. The law is one of the reasons many of the birds featured in this catalog did not go the way of the passenger pigeon, why they are still around today for us to enjoy and for these artists to observe. From the Ba-Birds of ancient Egyptian art to the totem poles and prints of the Kwakwaka’wakw in the Pacific Northwest, the bird in art has always been a powerful, transformative image. When mankind first started making art, he drew birds on the walls of caves. 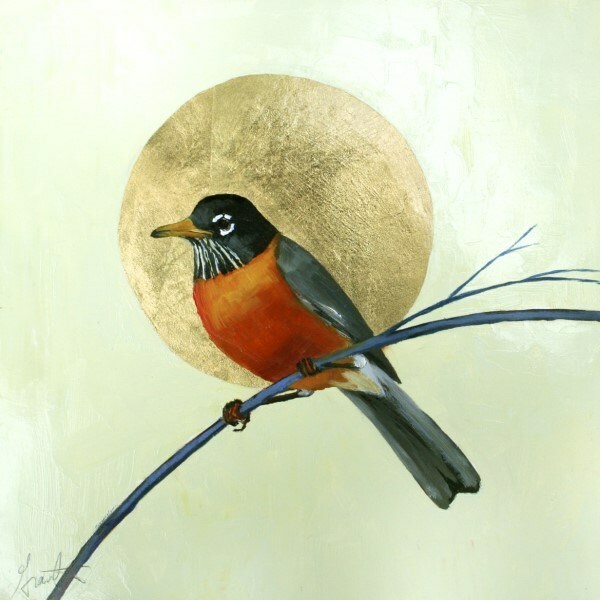 For much of art history, artists used birds as spiritual symbols in religious painting. 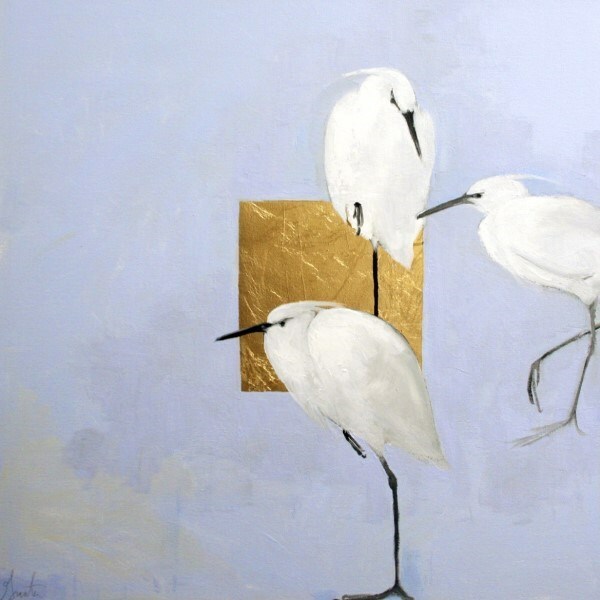 The only people painting birds as birds were ornithologists like John James Audubon or Alexander Wilson, whose paintings served a scientific purpose and weren’t treated as fine art until well after their deaths, when notions of art broadened. 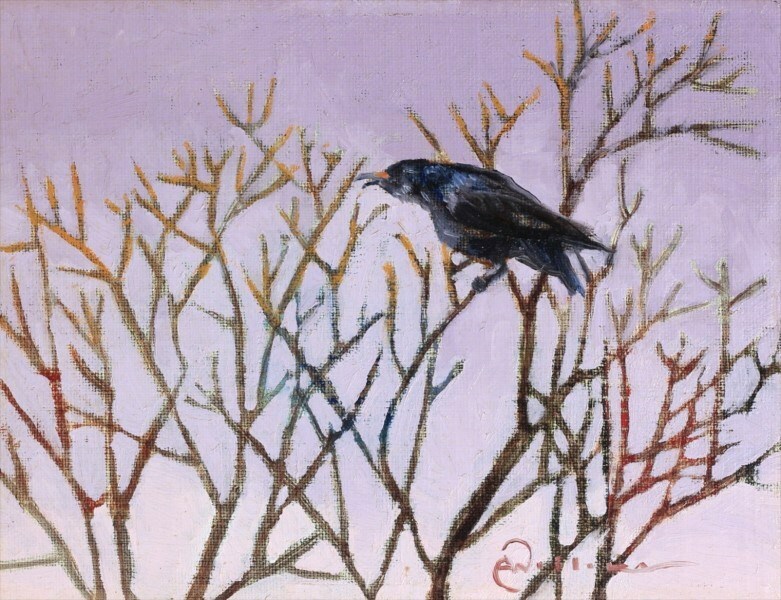 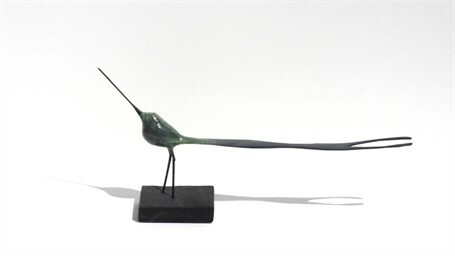 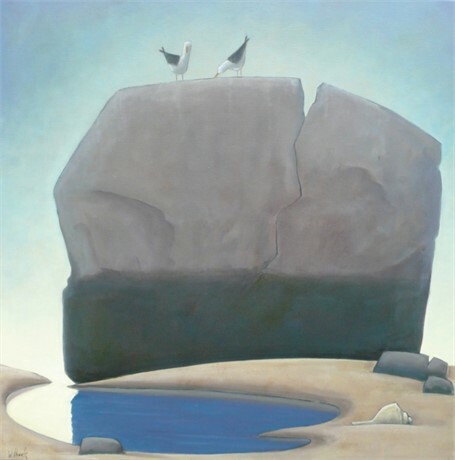 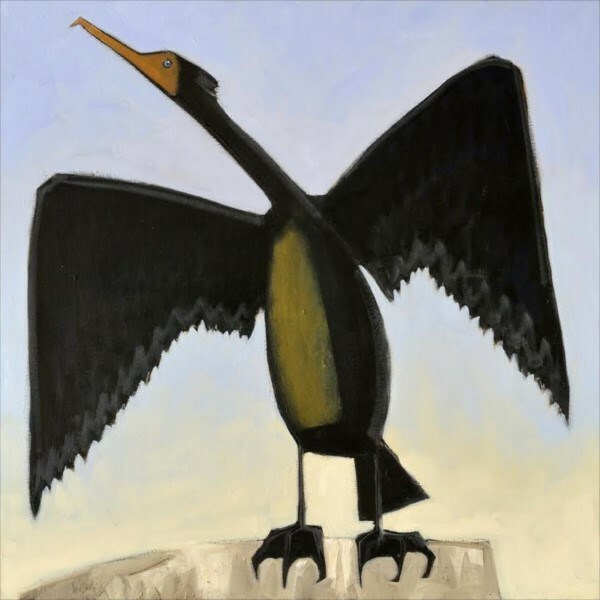 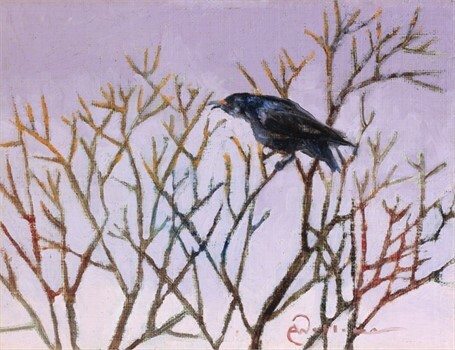 With the advent of Modernism, the image of the bird continued to be a rich subject for artists. 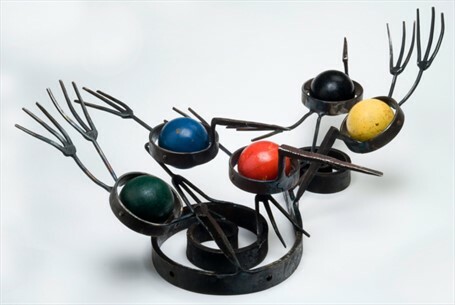 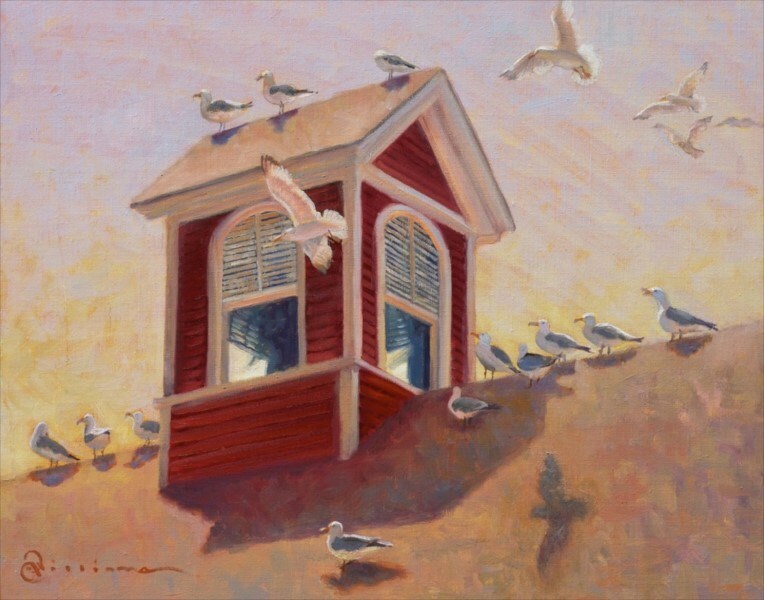 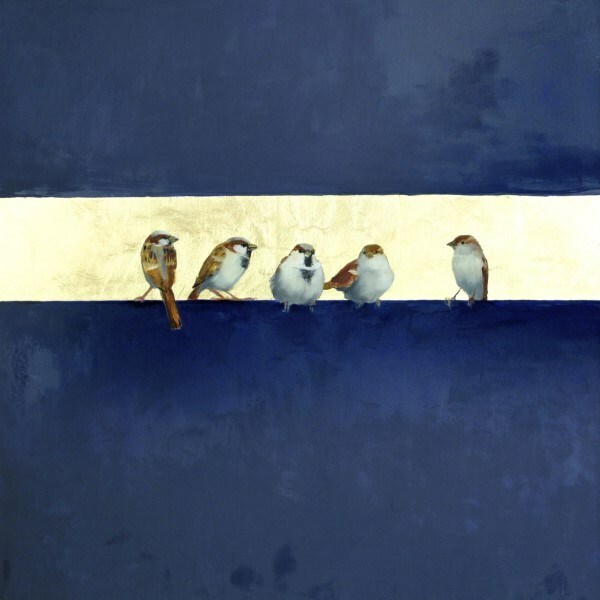 The six artists featured in this catalog feature birds in a variety of different ways. 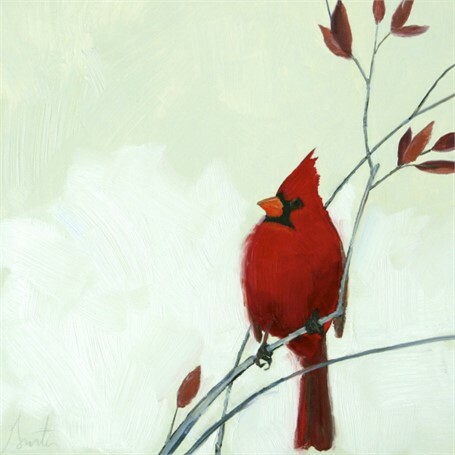 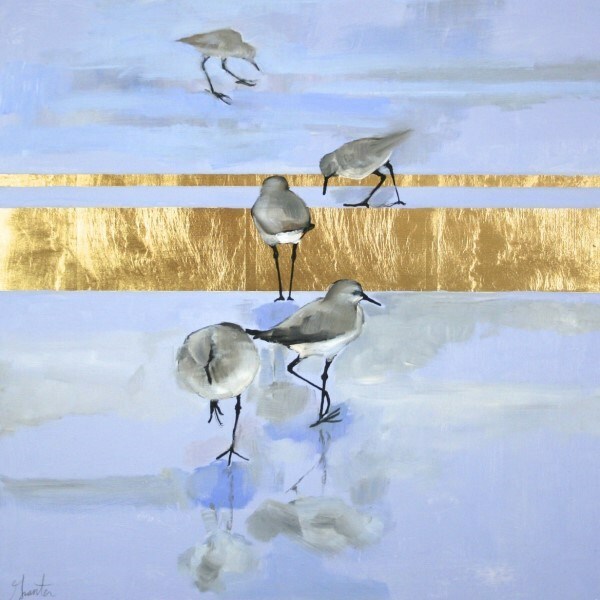 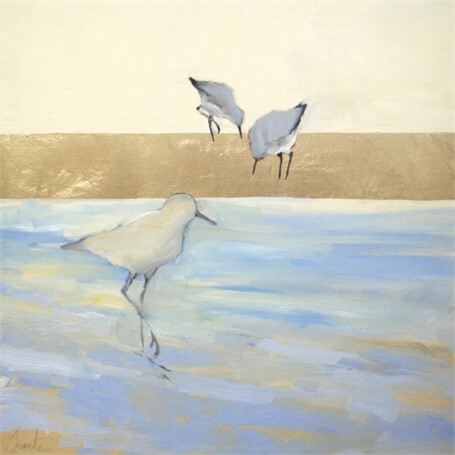 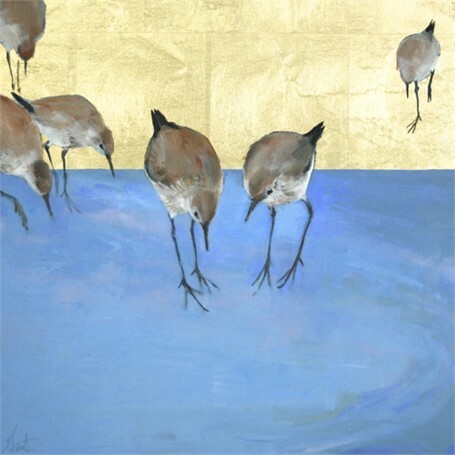 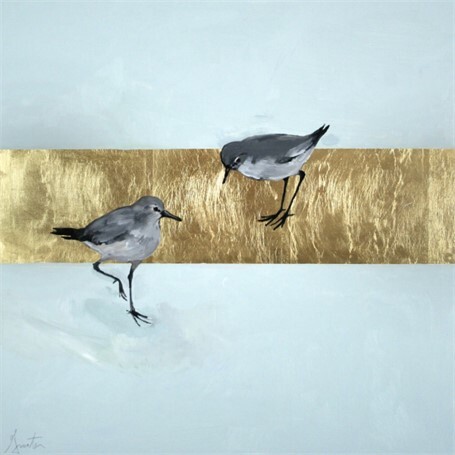 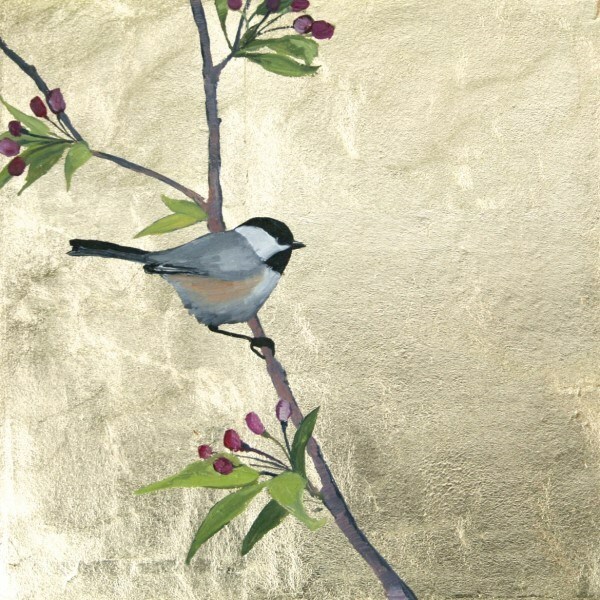 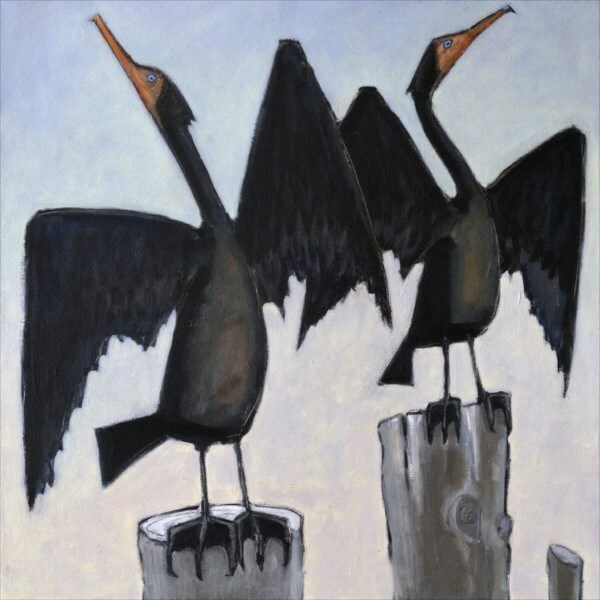 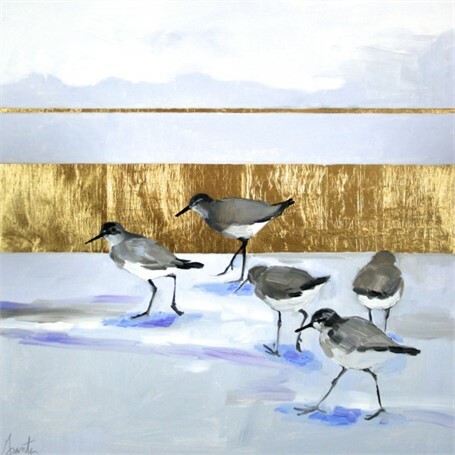 The realism of Ellen Welch Granter’s depictions of birds is counterbalanced by her sensitive compositions which are themselves evocative of 12th century Chinese paintings. 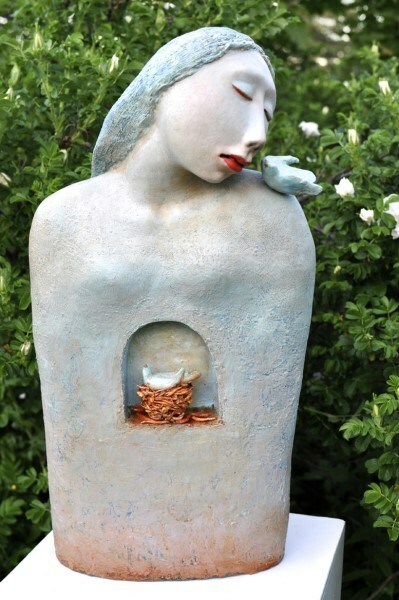 Elizabeth Ostrander uses birds to express a mystical fantasy world in ceramic and acrylic sculptures that serve as tools for truth seeking and personal reflection. 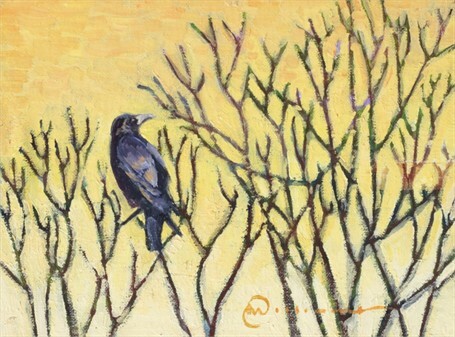 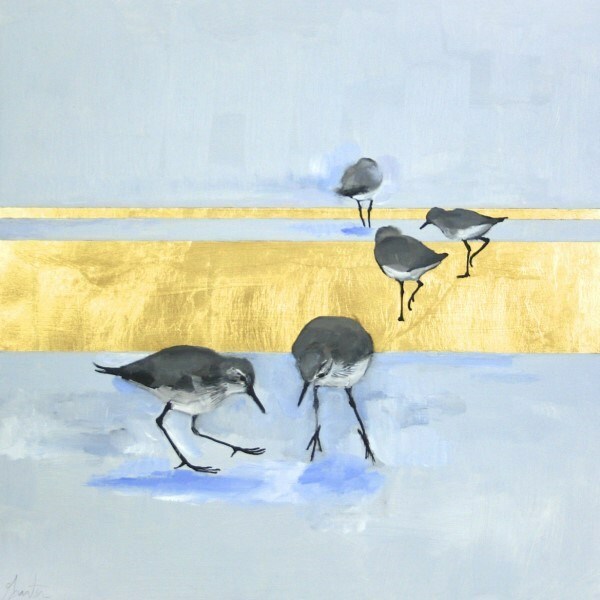 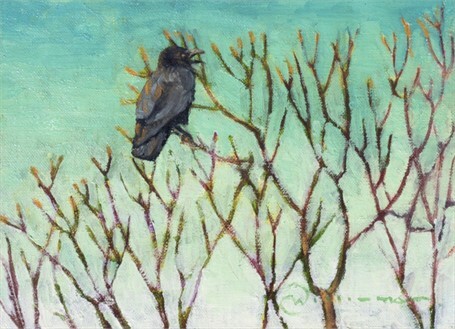 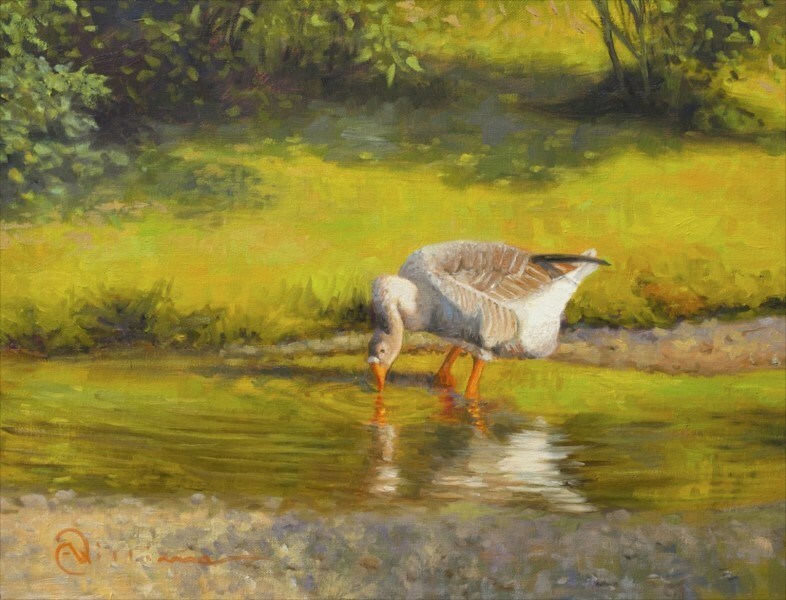 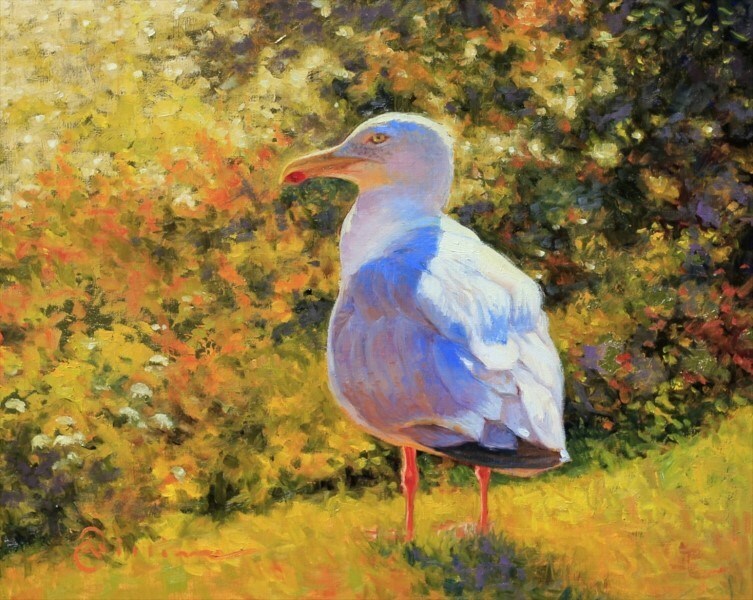 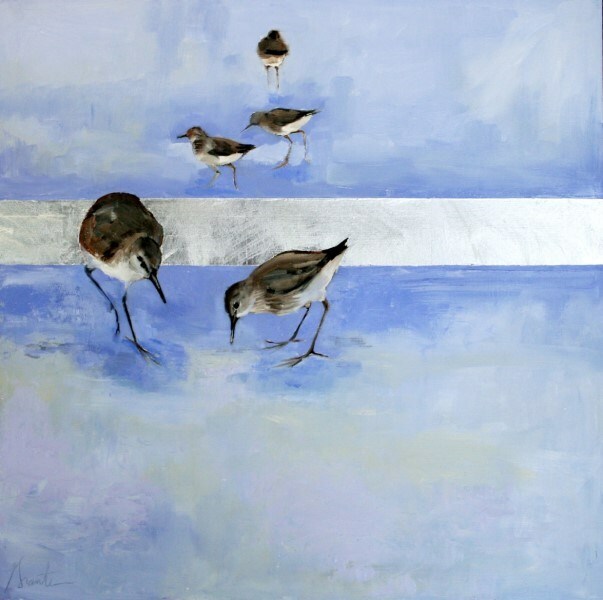 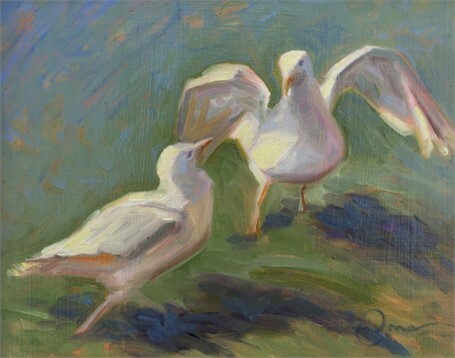 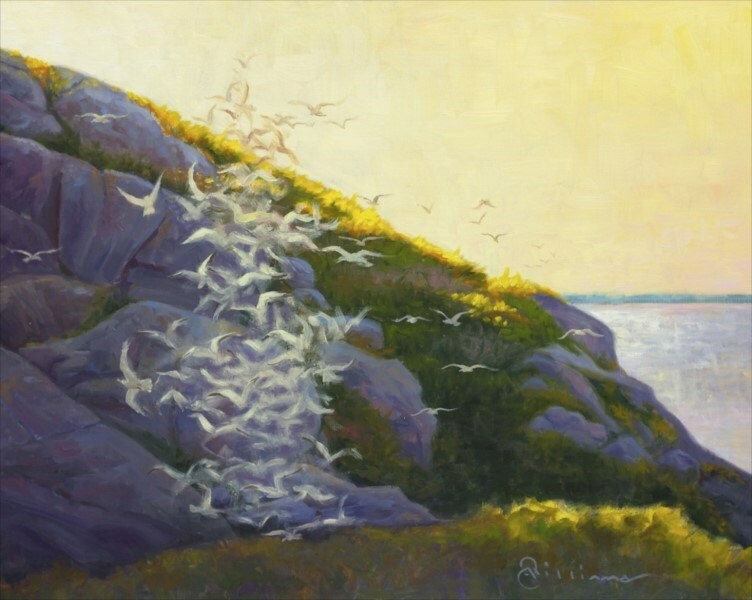 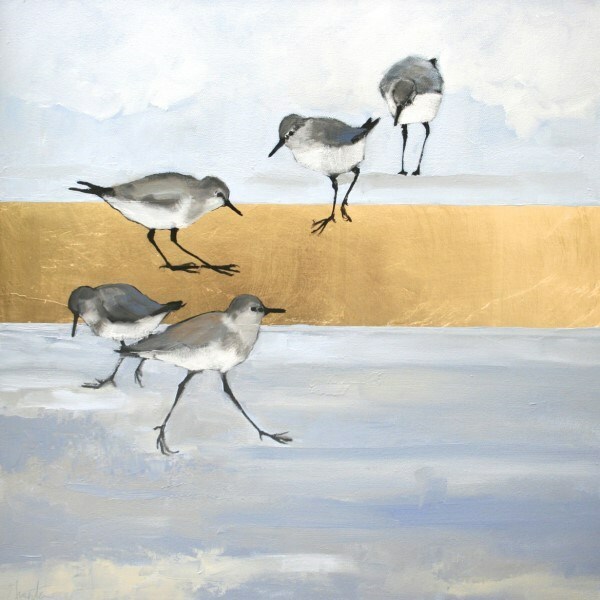 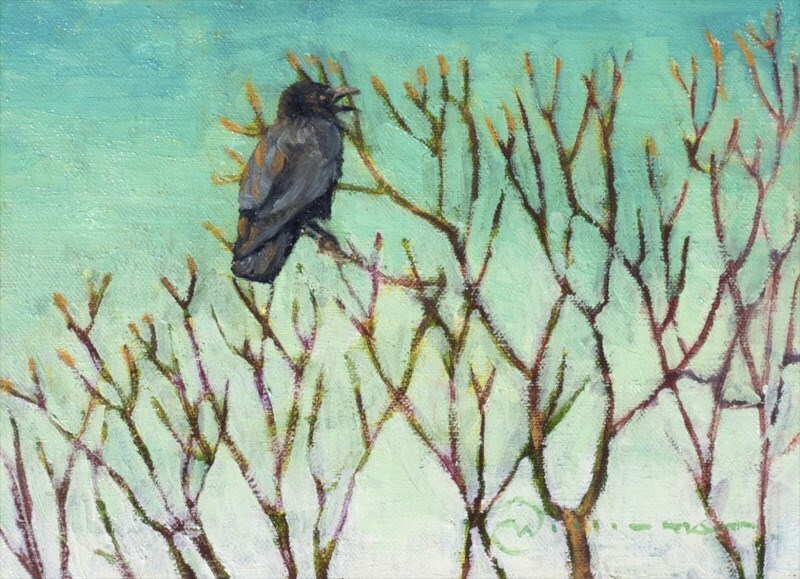 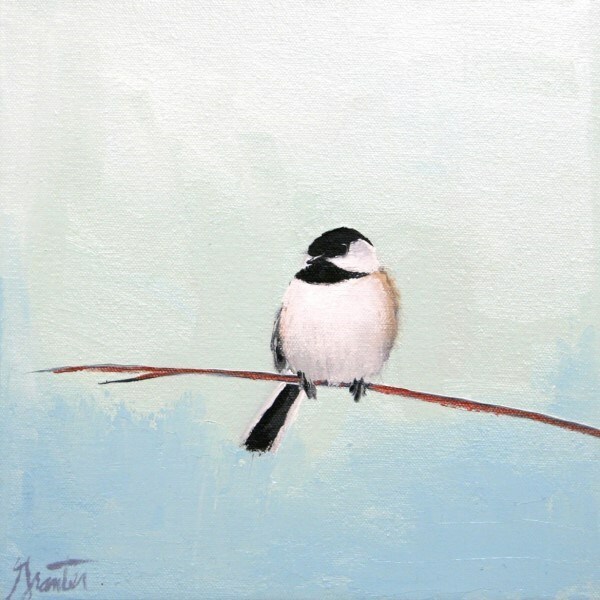 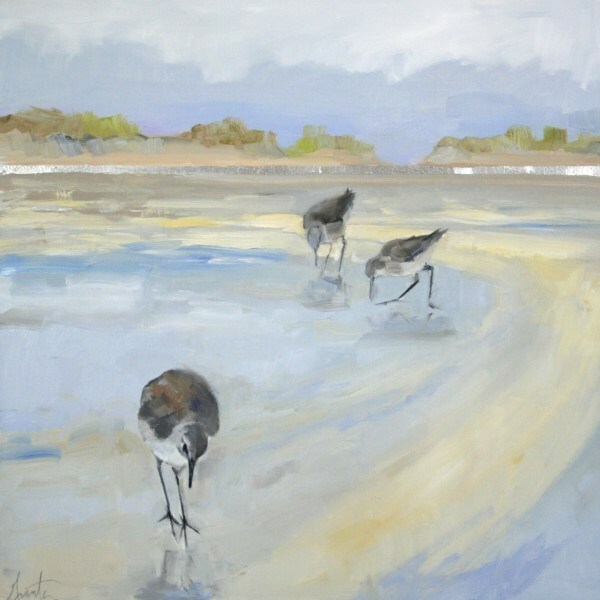 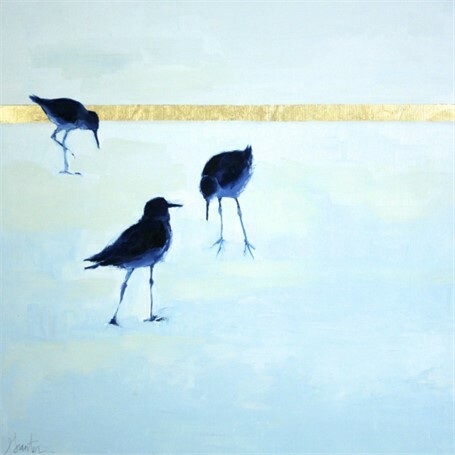 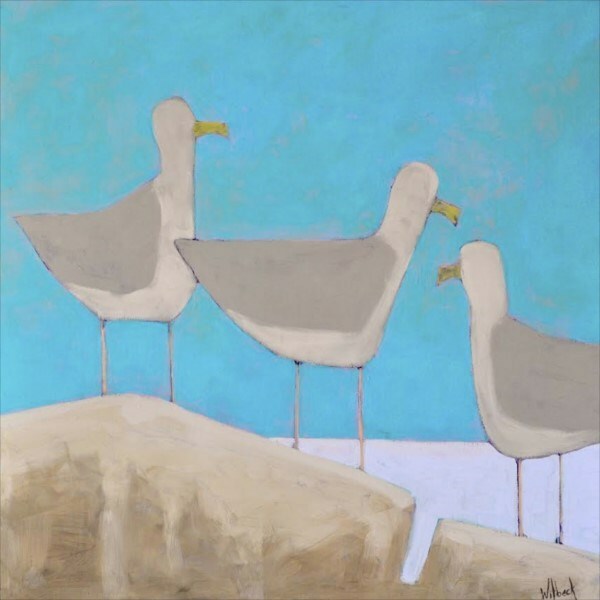 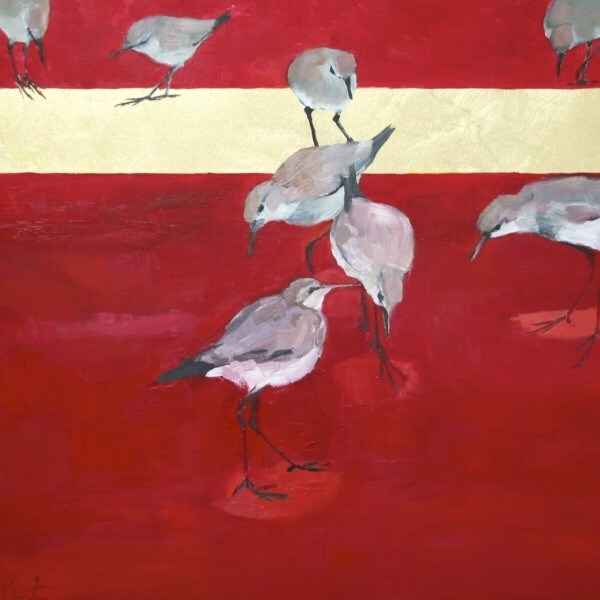 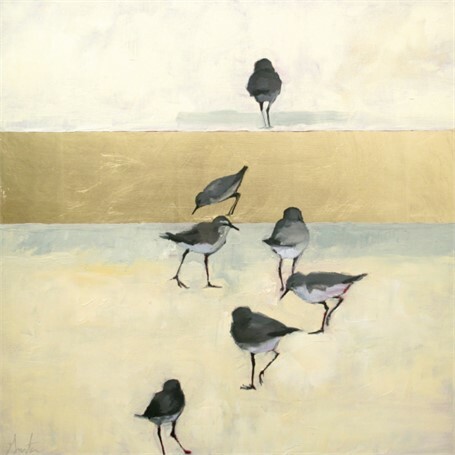 The appearance of birds in Abbie Williams’ paintings is a natural extension of her approach to landscape painting. 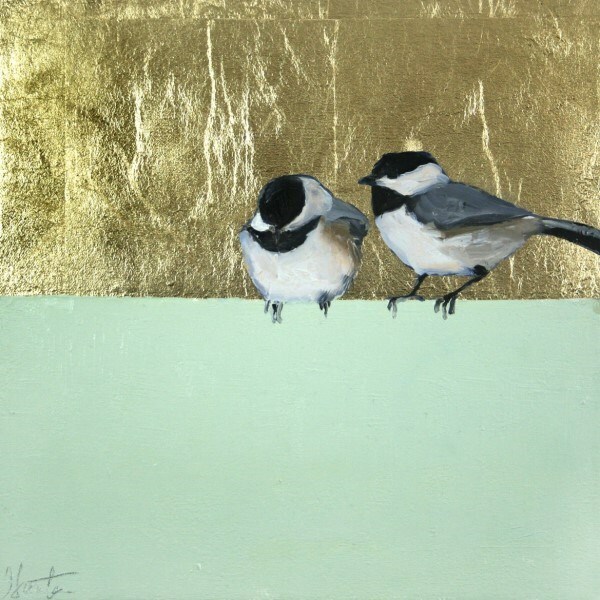 She gives them the same loving attention she would flowers in a field or a tree in the distance. 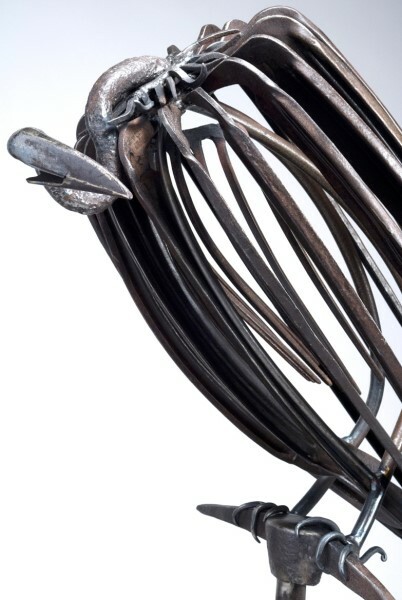 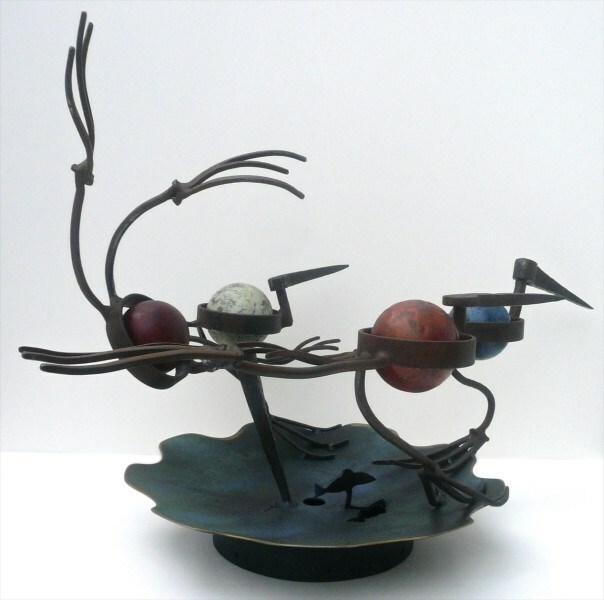 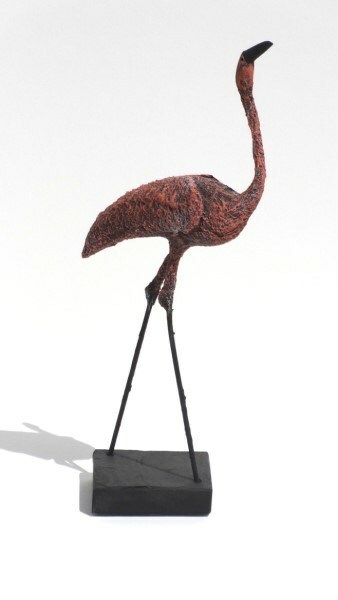 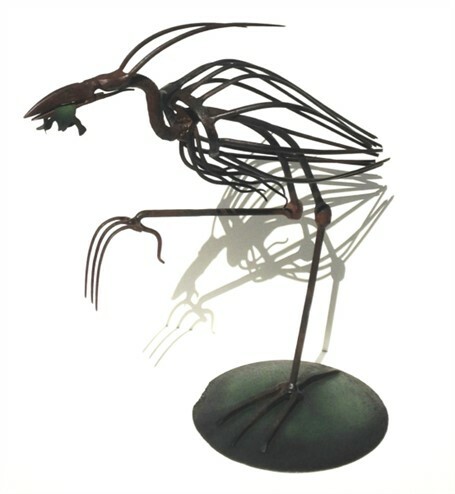 Patrick Plourde uses vintage steel, found objects, and over twenty-five years of experience manipulating these materials to make sculptures of ducks, vultures, and herons. 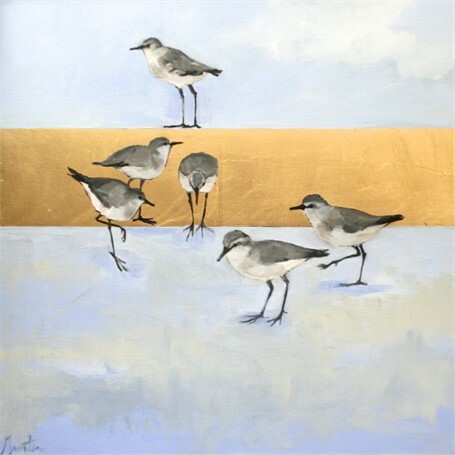 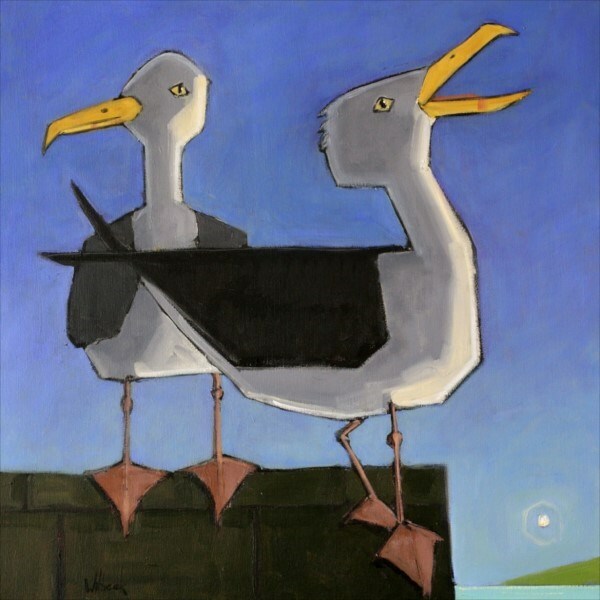 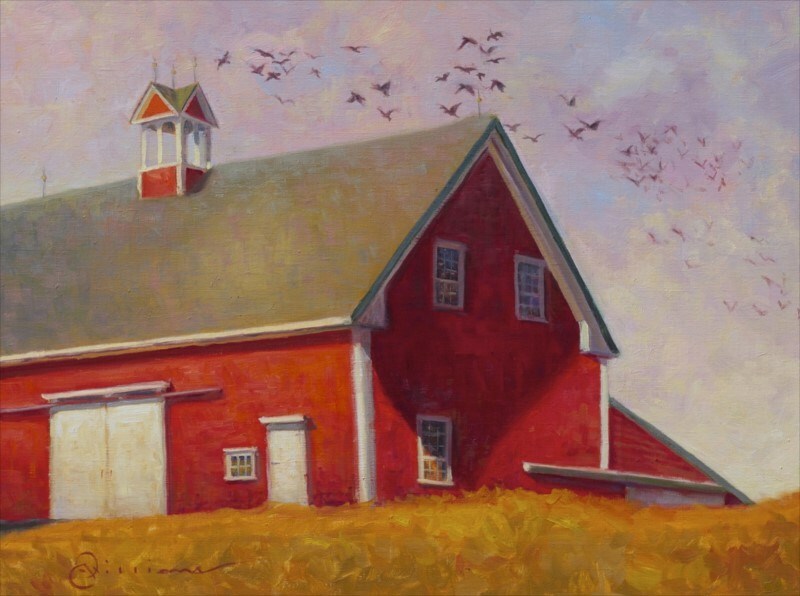 David Witbeck paints with the wit and eye of a freelance photographer and often uses birds as part of a constellation of elements that makes a composition tell a story. 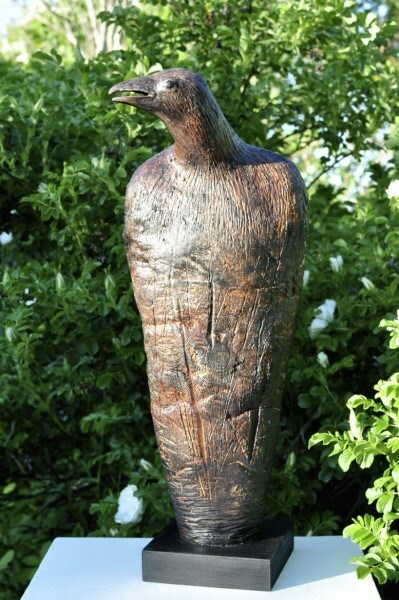 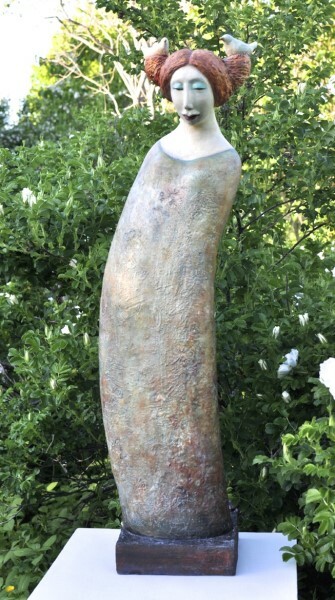 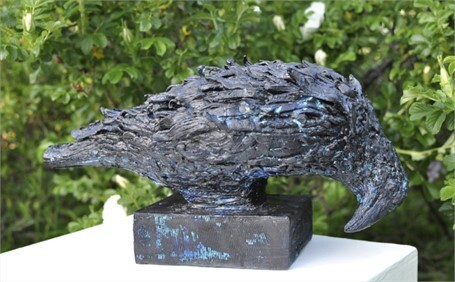 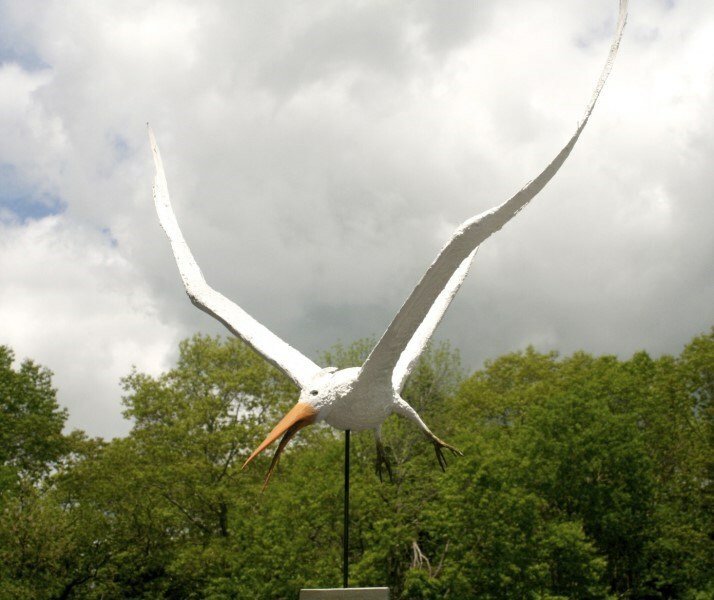 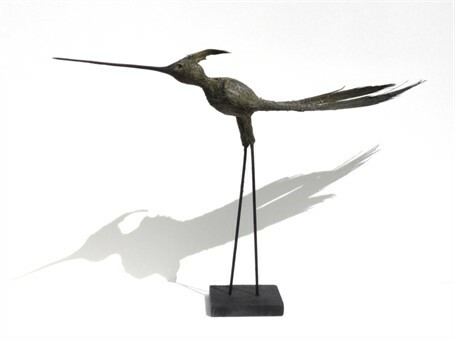 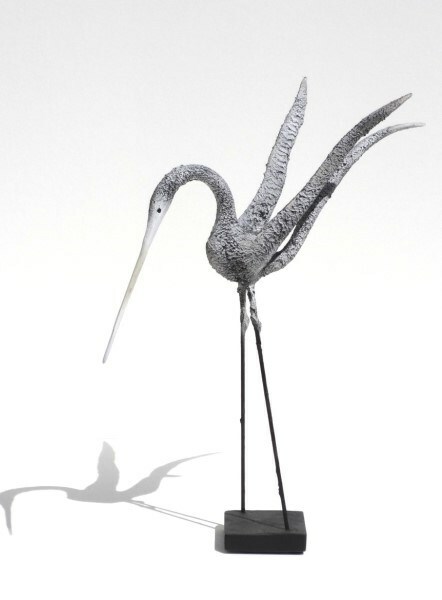 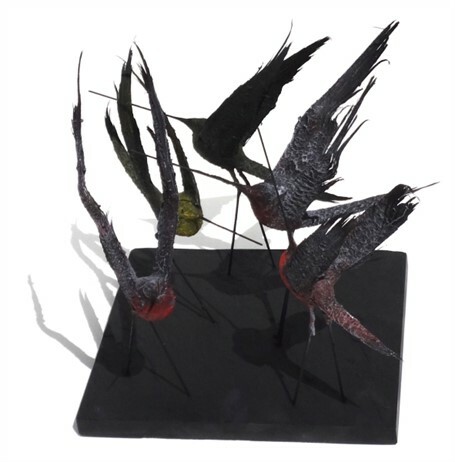 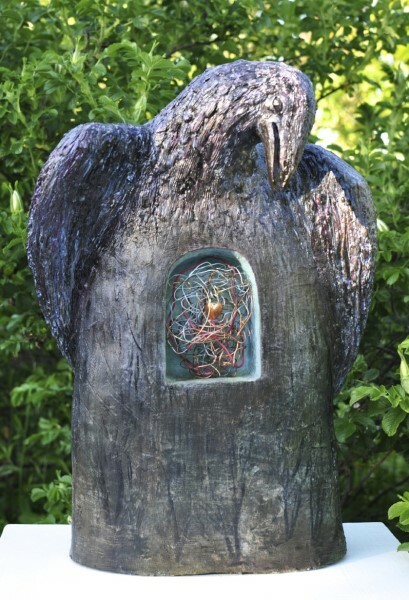 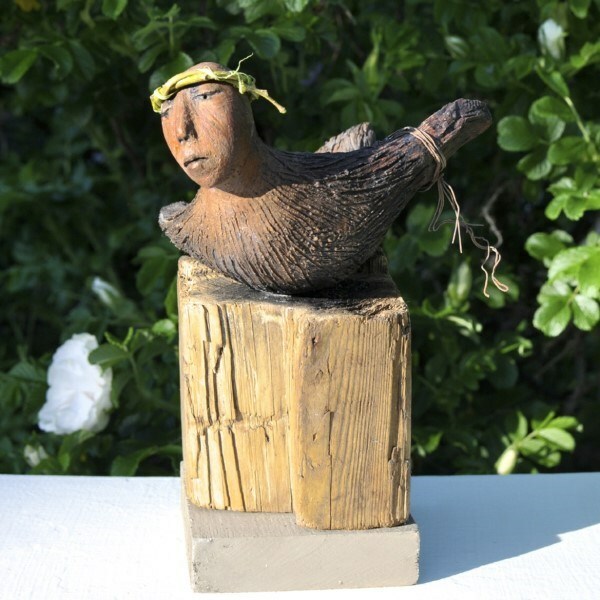 James Rivington Pyne’s sculptures show an attentiveness to the nobility and sometimes quirkiness of sandpipers, terns, green longtails, pelicans, and crows. All of these artists have in common a love of birds. 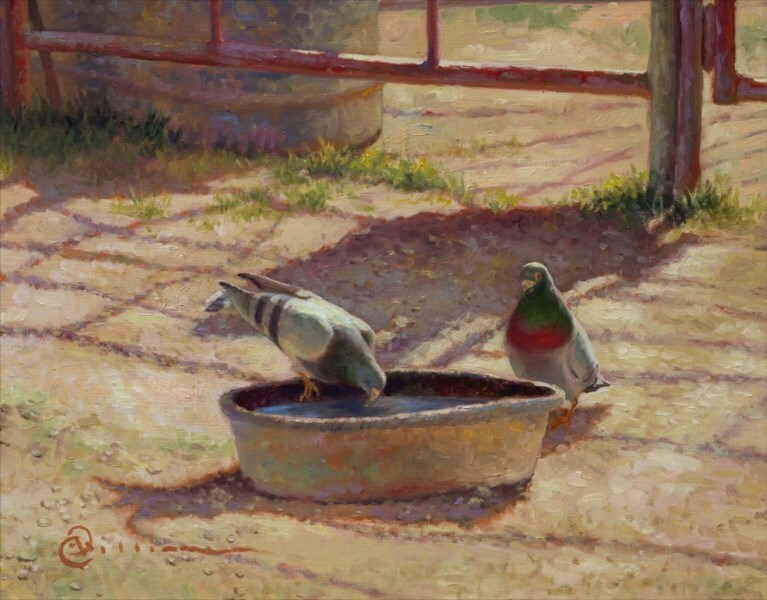 Their keen observations of them help give their paintings and sculpture a veracity that ultimately allows us share in their affections. 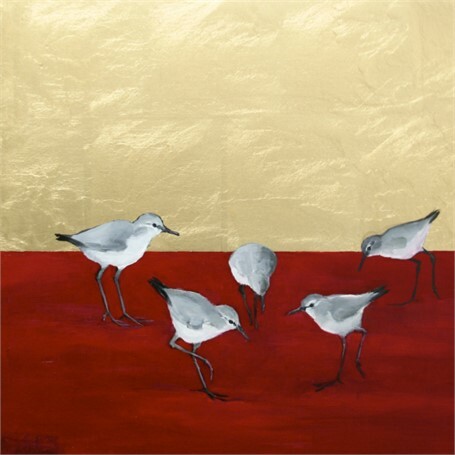 Everyone likes birds, indeed. 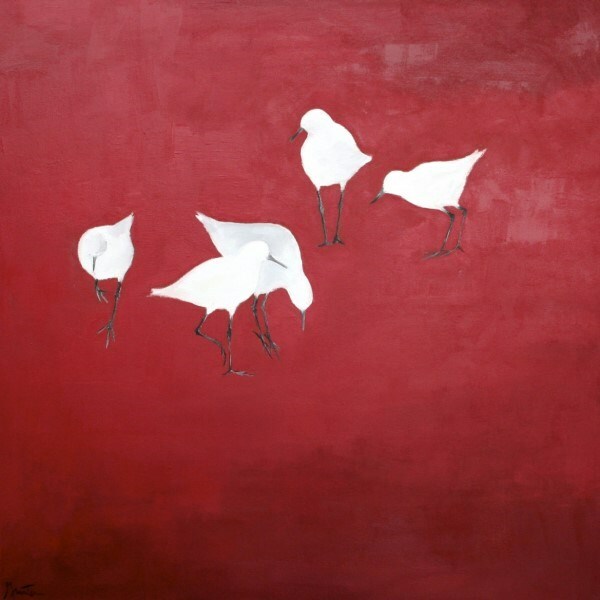 Ric Kasini Kadour is a writer and artist from Montreal, Quebec. 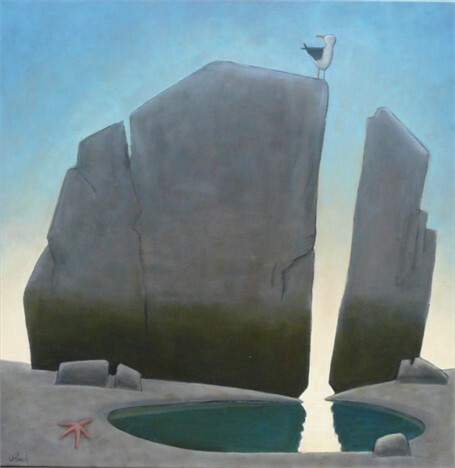 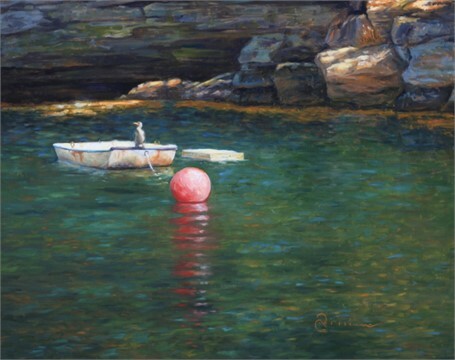 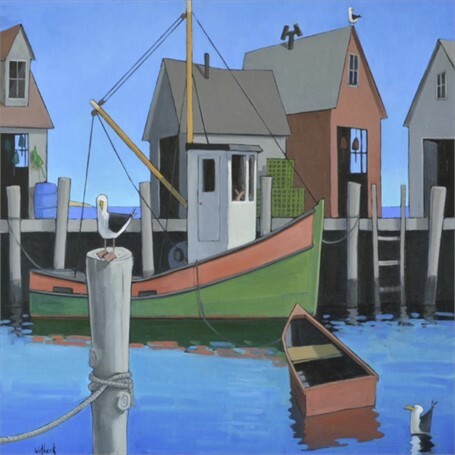 He is a frequent contributor to Art New England.